HUELGA/STRIKE: Based on my union experience, a strike is usually the result of lack of compromise by both sides. In a Union environment, management will attempt to change work rules without negotiating with the Union, rescinding on previously agreed upon wages, benefits and/or changing working conditions. Within a contract, this is illegal. LABOR PEACE is dependent on all contractual changes being agreed upon by both parties; and must be reduced to writing. The Chicago Teachers Union, Local 1 had good reason to strike. The Chicago Board of Education officials cannot implement new working conditions without negotiating with the Union. The rescinding of the 4% wage increase by CPS, agreed upon in the teacher’s last contact, was an illegal action against the teachers. A NEGOTIATED contract is a binding agreement signed by both parties. Neither party can arbitrarily breach a contract. Legally, CPS must negotiate with the Chicago Teachers Union, as the bargaining agent of 29,000 Union teachers, all changes of working conditions, benefits, wages and work rules. CTU teachers have the right to receive a complete copy of a proposed contract, to read, and vote on it. Teacher’s rights must be respected. IN SUPPORT of their just cause, I visited eight CTU picket lines, out of the 14 elementary schools and two high schools, in the Little Village neighborhood. I spoke with strikers and photographed them at Farragut Career Academy, Kanoon Elementary, Castellanos, Gary, Little Village High School, Cardenas Elementary, McCormick Elementary and Ortiz de Dominguez Elementary. The red T-shirts worn by Union’s rank-and-file members demonstrated solidarity and support for their Union leadership. The nation saw the sea of red during televised marches and rallies this past week; most notably around Buckingham Fountain. 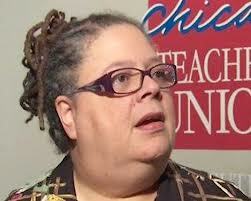 CTU PRESIDENT, Karen Lewis, and her team did an excellent job of implementing the strike called on Monday, Sept. 10, 2012. Lewis’ team made all the right moves by informing, preparing, motivating and mobilizing their membership for the strike; which was no easy task. No Union wants to take its membership out on strike; it’s the last recourse a Union is forced to take. APPARENTLY, the Mayor and CPS officials didn’t take the teachers seriously. A strike could have been averted if CPS and the Mayor had respected the teachers and their profession. CPS and the Union must bargain in good faith and with mutual respect. The Mayor, CPS and the CTU must not have a contentious relationship because it hurts the system and the school children. .
PAYING FOR the teacher’s contract is a real concern for CPS and the Mayor. The financing of Chicago schools is a State problem. On July 1, 1974, our State legislators enacted a law creating a State Lottery as the panacea for funding our school system. What is the State Legislature doing with State lottery monies? Why can’t our State Senators and Representatives fight for lottery money to fund our Chicago schools? AMERICA GIVES billions of dollars in foreign aid. What I don’t understand is why our nation cannot provide American cities “aid” for education. America spent billions of taxpayer’s money to fight a war in Iraq and rebuild it. Plus billions on a war in Afghanistan for the past 10 years! MAYOR RAHM EMANUEL should request a federal grant from President Obama to subsidize Chicago Schools. Secretary of Education Arne Duncan, former CPS CEO, should also be called upon to help bring federal money to the Chicago school system. GOOD NEWS: The teacher’s strike is over. PASSPORTS: “Passport Day” in Little Village sponsored by the Little Village Community Council on Saturday, Sept. 15, 2012 was a success. Fifty-six adults and children applied for passports. United States Postal Service personnel: Antoinette Lewis, Retail Specialist, Reginald Hollingsworth, Retail Specialist and Dortheen East, Sales & Service Associate did an outstanding job of assisting the residents of Little Village with filling out passport forms and processing applications. All of the applicants appreciated the service. EXPUNGEMENT: The 2nd Annual Expungement Workshop is scheduled for Saturday, Oct. 6, 2012 at New Life Church, 27th St. & Lawndale Ave. Doors will open at 8:00 a.m. and close at 5 p.m. Ex-offenders will have an opportunity to learn how to clean-up their criminal record. Six attorneys will be at the workshop. Admission is free and the workshop is open to the public. 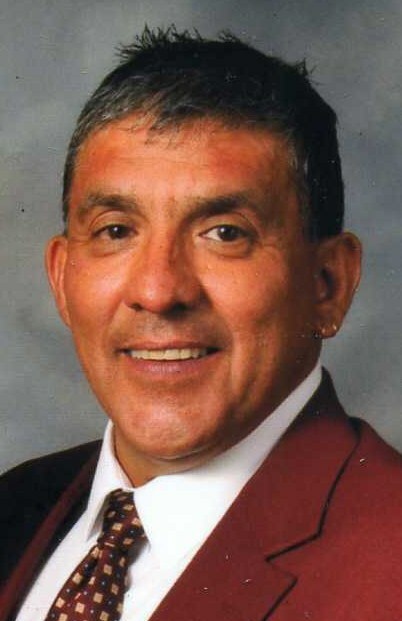 FUNDRAISER: Family and friends of Albert Gonzales, Sr. are hosting a fundraiser at Studio 63, 7225 W. 63rd St., Summit, IL. The event will be this Saturday, Sept. 22, 2012 starting at 8:00p.m. The cost of a ticket is $10 and can be purchased in advance by contacting Laura Staatz at 630/388-9270. FUNDS raised will help Al’s family defray his medical expenses. Al has been seriously stricken with cancer. He is a veteran of the U.S. Air Force and a member of the Manuel Perez Jr. American Legion Post 1017. He has helped and supported veterans and veteran’s causes. FOR DECADES, Al has worked in public service. During the Thanksgiving he helped feed the homeless at the Daley Center and has served in many positions at Queen of the Universe Parish on Sundays. AL IS an active member of the St. Francis Wildcats, an organization that raises funds for scholarships for young adults. Al has served as Chairman of their Yearly Ad Book. COMMANDER JOE Ramirez of the Manuel Perez Jr. American Legion Post 1017 is urging all veterans and friends of Al Gonzales Sr. to attend the fundraiser. “Al deserves our support,” said Joe. To contact Commander Ramirez call 312/415-2653.